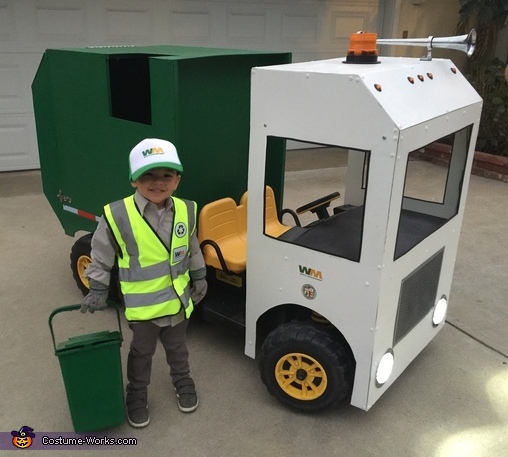 My 4yr old son Aidan, is obsessed with Garbage Trucks and wanted to be a Garbage Truck Driver for Halloween. I decided to modify a John Deere Gator Power Wheel into a Garbage Truck so he can drive it to each house and collect candy. Can you share any details or project plans for how you built and attached this? Is it made out of cardboard? You must be a fun parent! Thanks so much!